Hiking is a great way to get out in nature and see all that is around you. You get a good workout, have the chance to go up easy or tougher inclines, and just see things in a way that is different than how you see others things in your hectic life. But hiking can be tough on your feet and when you’re dealing with plantar fasciitis, you may worry that this is going to be too hard for your feet to handle. If you are suffering from plantar fasciitis and love to hike, don’t lose out on hope. Even with this foot issue, you can still get out and enjoy all your old hiking trails, you just need to make sure that you are picking out the right kind of hiking boots. The right kind of hiking boot can make all of the difference. While there are a lot of different options out there for hiking, you need to make sure that you are picking one that is going to help provide the right kind of support to your feet to make it fun and more enjoyable. The boots below are some of the best that you can try for hiking when you have plantar fasciitis. These boots all have the arch support, the comfort, and everything else that you are going to need when it comes to keeping your feet happy and pain free when you have this foot issue. Make sure to try one of them out and get back out to hiking. Finding a good women’s hiking boot is a challenge on its own, but add in that you need to have the right comfort and support to help out with your plantar fasciitis can make this almost impossible. 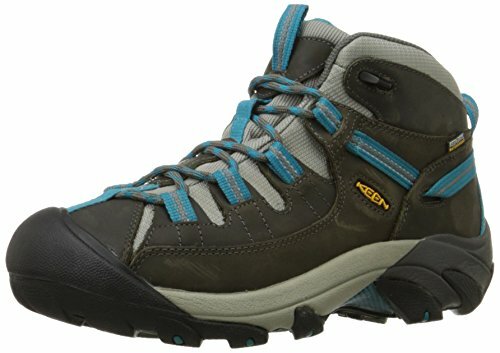 Thankfully this option from KEEN is the perfect choice when you like to be out in the wild, but you don’t want to be in pain from a low quality boot. These boots are made out of leather with a rubber sole, a heel that is about an inch and a half, and platforms that are one inch. The membrane is made of waterproof material so you can trudge through any weather and the protective toe cap prevents you from stubbing your toe and causing other damage. 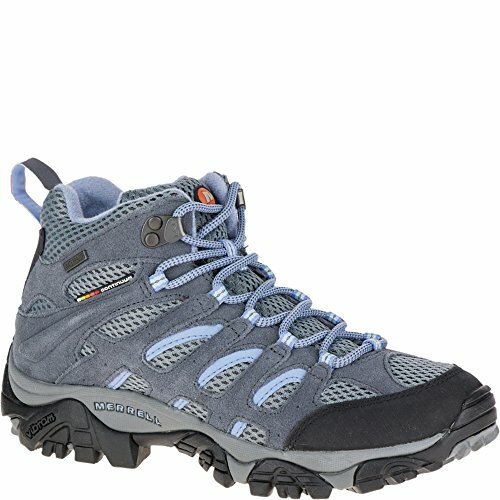 Compared to many high quality hiking boots, these are low budget and you are getting a great deal for the money. Some customers have found that the sole is not as slip proof as you would want, which can cause some issues when you are out in the wilderness. This is another great hiking boot that you can choose to bring with you when you are ready to go out and have some fun with the wild. The fabric is leather with breathable mesh panels, a sturdy sole so you won’t slip and slide all over the place, and all the waterproofing you will need to make it throw the harshest of weather. These books are a bit on the higher end of most budgets, but they are durable and meant to last for a long time. If you have a larger foot or need something that is wider, you may find that these shoes are not going to fit the bill. Use the measuring tool provided and you will be able to find the perfect fit for you with all the comfort that you would ever want. For those who like to go hiking long distances and can’t stand the idea of being stuck inside all of the time, these hiking boots are the ones for you. You will love that they can last for a long time, going for miles and miles without any wear and tear, while still providing you with the support that you need with your plantar fasciitis. There are a few gromets with the foot so that you are able to choose the type of lacing that works best to keep your foot in place no matter where you are hiking. The material is leather and waterproof with enough breathable air to keep your feet happy. If you like to go hiking in far off places and want a hiking boot that is able to keep up with you, these boots from Quest are the perfect option for you. The Salewa hiking boot combines all the great features needed for hiking with the comfort that you need to keep your feet happy and the great look of a high class tennis shoe. These hiking boots come with leather and synthetic materials combined to give a high quality look. 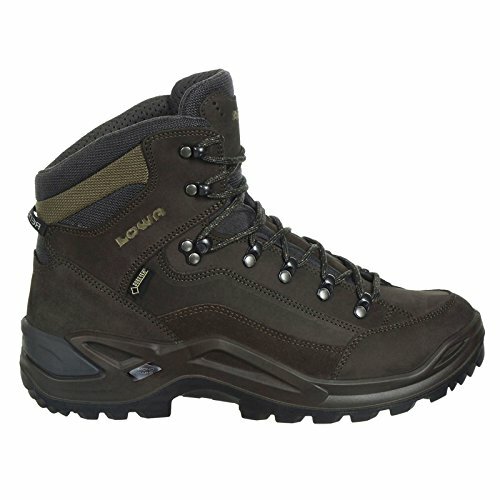 These are technically considered half hiking shoes and half boots, but you will be able to use them for all occasions. If you want to have a shoe that can work to go to the store in as well as one that can hit all the trails, this is the one for you. There were a few complaints with these boots as well. Some complained that the lacing was not the best; they weren’t able to secure in the heel without almost cutting off circulation in the rest of the foot. These are also not the best hiking boots for those with wider feet and some had issues with the waterproofing on the shoes. While these may not be the perfect hiking boot, they are going to provide you with a lot of comfort and are meant to be worn on a daily basis and not just while hiking. These hiking sneakers are going to be a great option for those people who need a bit more support and traction throughout the day, but don’t really want to walk around in a big hiking boot all day long. This particular shoe comes with smooth fabric that provides comfort in all the right places. The easy gait technology means that you will get a cushioning in the sole and a light weight shoe that won’t make it difficult to walk around. You will also love the orthotic support with gel pads, heel seats to alleviate the pains in your feet, and so much more. If your travels take you from the office to the harsher terrain, you will be able to enjoy this great hiking sneaker with all the great features and none of the frills. If you loved the women’s version of these boots make sure you grab a pair for your husband. Salomon knows what you need when it comes to hiking and in these boots they have added the extra comfort and support that your feet need in order to deal with your plantar fasciitis. 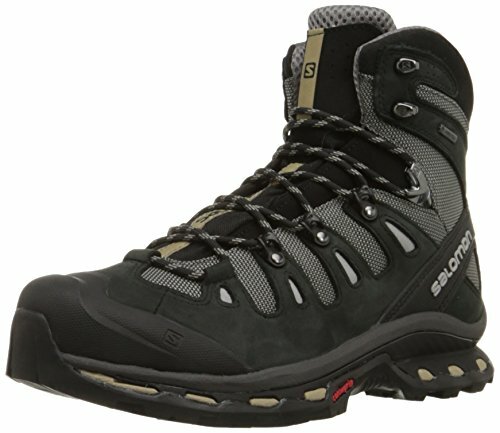 You are going to love the rubber toe cap that keeps your toes happy no matter the terrain, the GORE-TEx waterproof protection so you can head out no matter what, and the added bonus of the 4D Chassis that provides you with the extra stability and protection that you need to get those harder trails. For those who are looking for a great hiking boot that can meet all their needs and take good care of their feet, this option from Hoka One is a great option. It has all the benefits of a tennis shoe with the added features that come with a durable hiking boot, such as strong material, good traction on the bottom, the waterproofing that you need to get through that tough terrain and so much more. Plus with this hiking boot, you can pick from four different styles and colors so you are sure to find the one that is right for you. These hiking boots are on the higher end of most budgets so if you want to stay lower, you may want to choose a different brand to be safe. These boots are also not very wide, which can cause some issues for wearers who have bigger feet or who worry about their feet swelling when they walk around a lot. If these are issues for you, it may be best to go with a different type of hiking boot to be on the safe side. 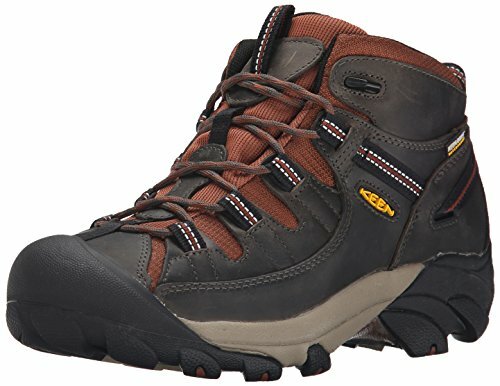 This is the ultimate hiking boot for anyone who loves to go hiking all of the time but are worried about how to keep their foot supported and comfortable while on the trail. First, you will notice that there are a lot of different colors and styles for this boot, so every man can find the one that works best for him. The platform is about an inch and the heel is 1.75 inches so you are getting the support that you need without it getting too high on you. 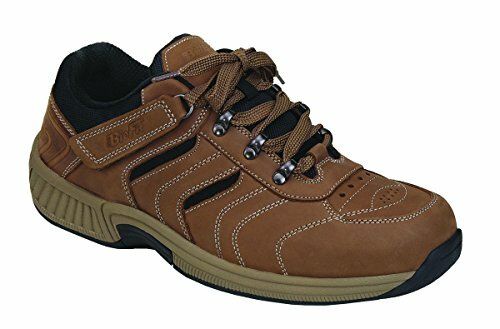 These shoes are made from a combination of leather and synthetic material to ensure they are high quality and really comfortable for your walks. You will also enjoy the climate control foot bed so your foot stays warm during winter hikes and cool during those summer ones. One complaint that a lot of customers had with this shoe is that the sole started wearing out pretty quickly. These shoes are supposed to be water proof, but with the sole starting to fail, your feel are going to get wet and you are going to lose a lot of that comfort and support that is so important to your feet. You should make sure that you purchase these hiking boots new and make sure they are in good shape before you go out on the trail. KEEN is another great option when you want one of the best in hiking boots, especially when it comes to men’s hiking boots. These boots are made with high quality material and they come in all the sizes, colors, and styles that you could ever dream of for a hiking boot. KEEN has come up with its new waterproof technology that is guaranteed to keep your foot dry no matter where your adventures take you. The rubber sole is great for keeping traction and there is an added arch support that is going to do some wonders for your plantar fasciitis. 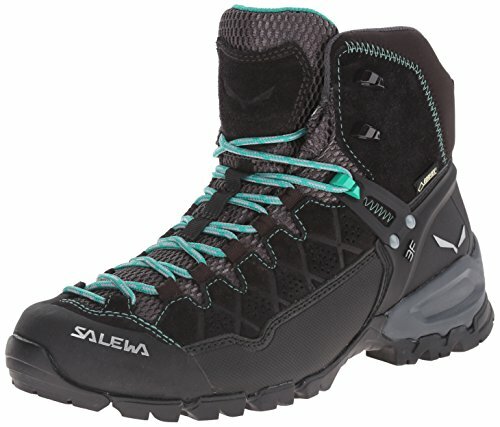 These boots are on the higher end of the budget spectrum, but if you are looking for boots that are going to last for a long time and have all these features, you are not going to be able to find any that are better. Those who have tried KEEN in the past have fallen in love with their quality and their design and never go back to their old options. Hiking is a pastime that many people enjoy doing. But when you are suffering from plantar fasciitis, you may feel like your hiking days are over. Luckily, with these fantastic options in hiking boots, you don’t have to give up on your favorite activity, no matter how severe the problem may be. These hiking boots are comfortable, provide you with all the support you need even when hiking in high elevations, and can make the hiking experience more enjoyable than ever. Make sure to check out at least a few of these options when you are ready to hit the trails and want to ensure that you are comfortable. This is a great boot to use if you want to have something sturdy with all the features of a regular hiking boot, but you would like to wear it on a daily basis. 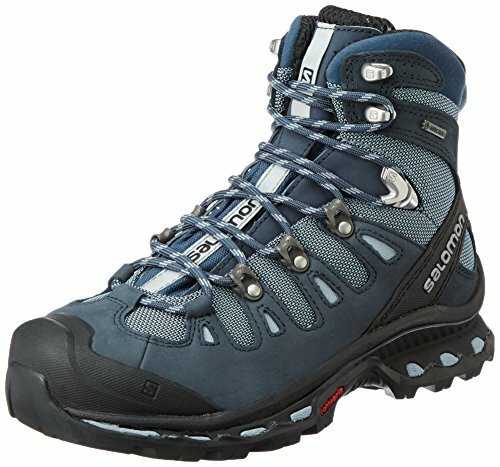 This is not going to be as strong or durable as some of the highest quality hiking boots, but there are a lot of features to love such as how lightweight the boots feel, how comfortable they are, how they come true to size, and you can wear them all day long without causing trouble to your feet. The vibram sole is going to catch your notice right away thanks to how well it can provide traction to your whole foot. Many people who have tried to use them in the mountains or on a trail were not disappointed in how well these shoes performed. While they may not be able to keep up with the most dedicated of hikers, for those that want a shoe that can go between walking around at home and heading out to the trails on occasion, this is the perfect boot for you. Timberland is a name you can trust when it comes to quality hiking boots and you will be able to see this more than ever thanks to these great options that not only make hiking safer and easier, but ease some of the pressure of your plantar fasciitis while you are walking around. There are a lot of things that you can love about these boots. They are made of pure leather and are mid cut so you can get the ankle support that you need while hiking without having to worry about the material going all the way up your leg. The sole is rubber and has a lot of traction so you can make it on those hard inclines and the anti-fatigue material, exclusive of Timberland, means that the boot is going to last for a long time while providing you comfort at the same time. Some customers were not impressed with how well these boots were able to keep out the water so if you are going to head through trails with lots of water, these may not be the best option for you. Also, some found that the toe design was a little bit uncomfortable and the size does not fit true to form. You should try on these boots, or some of the other options from Timberland, before making a purchase to help you determine which the best are for you. For most customers, these were great boots to wear on the trail or even at work to keep their feet comfortable.